This Coronado Cooler Bag will keep your beer (or anything) cool for a few hours, or even longer if you throw an ice pack in there with it. On the front is the Coronado Brewing Company Mermaid as shown in the photo, and on the back is the Pacific Beer Expo 2014 Logo. 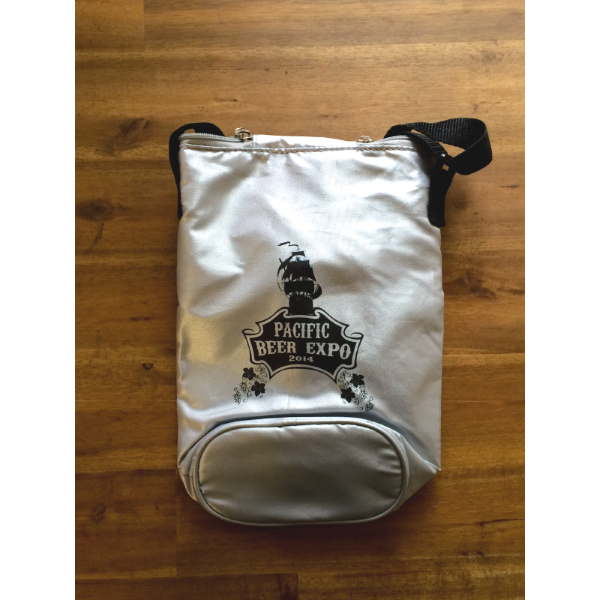 This is a limited edition bag from the 2014 Pacific Beer Expo, so once they're gone they're gone.